Biloxi real estate includes beachfront that is directly on the Mississippi Sound. There are several barrier islands that lie off the coast, extending into the Gulf of Mexico. This city is located in Harrison County and is – along with Gulfport, MS – the co-seat of county. Biloxi is a part of the Gulfport-Biloxi metropolitan area and as of the 2010 census was home to 44,054. Biloxi homes for sale include many types from single-family homes to condos and townhouses, lofts and sprawling estates. There are also multi-million dollar homes here with features such as movie theater rooms, exercise rooms and spas. In addition, they are conveniently located near golf courses, shopping, restaurants and recreation. 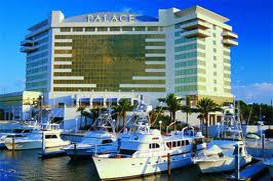 One of the attractions of Biloxi – the casinos – has a history that dates to the 1940s. Although at this time gambling was not legal, open gambling did indeed take place at a casino in the Broadwater Beach Resort. Open gambling was stopped in the 1950s, but legal gambling was introduced in the 1990s. The area earned the nickname “Poor Man’s Riviera” when many families began visiting the city during the summer for fishing expeditions. In the 1960s, Biloxi as well as many areas along the coast became an alternative to Florida for vacationing Northerners. During this time hotels in Biloxi improved amenities and provided vacationers with cuisine, particularly seafood, that was prepared by chefs hired from Switzerland and France. Adding to the attractiveness of Biloxi real estate for residents as well as businesses is the easy access. Interstate 10 connects Biloxi with many large cities within the states of Louisiana, Texas, Alabama and Florida. U.S. Highway 90 is another major route within the city and the Gulfport-Biloxi International Airport, which provides transportation to more than 900,000 travelers each year. During the season anglers can enjoy fishing for Spanish and king mackerel, spotted sea trout, flounder, grouper, snapper, sharks and more. A variety of sports are enjoyed as well with the city being the home of a minor league hockey team, the Mississippi Surge. The choice of Biloxi homes for sale provides residents with a subtropical climate that allows a number of recreational opportunities throughout the year.